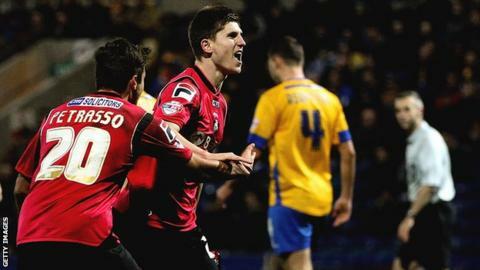 Oldham have given an extended contract to striker Danny Philliskirk. The 23-year-old is Oldham's top scorer this season with 12 goals in 46 games, having joined the club in August. Philliskirk has agreed a new two-year deal with the League One side, with the option of a third year. "At the start of the season I was struggling for a club," he said. "Luckily the gaffer took a chance on me and I've played over 40 games this season, which I'm grateful for." Speaking to the club website, Philliskirk continued: "I can't obviously rest now. I've got to kick on and continue to score more goals in the next couple of seasons and contribute more to the team." Manager Lee Johnson added: "There is scope for him to improve and I'm looking forward to working with him for the remainder of his contract."